Official presentation of the package will be held in two weeks. 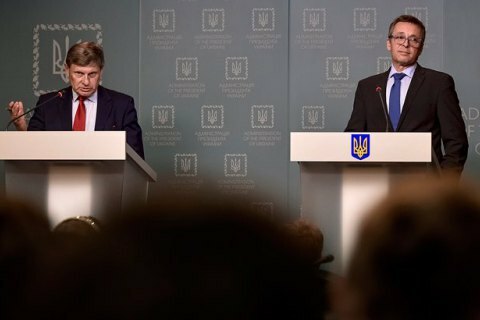 Strategic Advisory Group to support reforms in Ukraine headed by Leszek Balcerowicz and Ivan Miklos reports completing on September 15 the development of a package of key reforms and sent it to the president, Cabinet and the Verkhovna Rada, the group said in a press-release. The reform package is written on the basis of the government's plan of action and other policy documents. It includes the priority steps needed to strengthen fiscal and financial stability in Ukraine, combat corruption, accelerate the development of medium-sized businesses, to improve the structure and effectiveness of state governance. "The reform package includes proposals concerning the structure and procedures of the state apparatus: decentralization, e-administration, the reform of the prosecutor's office and the judiciary, anti-corruption. Special attention is paid to public finances and structural reforms needed to strengthen economic growth, including privatization, deregulation, de-monopolization, the reform of energy and gas markets, land market. It also contains proposals with regard to health care reform,"- the press release reads. Official presentation of the package is be held in two weeks. The Strategic Group includes 10 foreign and Ukrainian experts, chaired by Balcerowicz and Miklos. The group was established April 18, 2016.